Between Ekaterinburg and Tyumen there is a distance of 328 km. One of the most convenient and comfortable options for the route is the bus. To reach Tyumen from two bus stations of Ekaterinburg. To Tyumen from station "North"
From bus station "North" of Yekaterinburg, located at Vokzalnaya str., 15A buses to Tyumen. There are both direct and transit flights. The exact schedule for the operation of route should know the numbers +7 (343) 379 09 09, +7 (343) 378 16 09. Every day at 09:31 from the station a Shuttle bus with following Forest-Tyumen and arrives at the point at 15:30. On the flight out of the bus brand "Kia". Also from this station there are routes at 01:50 and 07:05 on certain days. The days of operation should be clarified in the ticket office of the station or on the info line. To Tyumen from the bus station "South"
The bus station "South" in Ekaterinburg is located at 8 Marta str., 145 near the metro station "Chkalovskaya". On Fridays every week at 02:01 bus message Sibai-Nizhnevartovsk. In Tyumen arrives at 08:30. The ticket price is 780 R.
Direct flight Yekaterinburg-Tyumen moves off of the bus at 02:29 every day except Tuesday and Friday. Transport the "Mercedes" takes 6 hours, 49 minutes and arrives at the bus station Tyumen 09:18. Tickets can be purchased for 707 R. the same route daily, except Saturdays, from the station a bus "Hyundai" at 06:14. Every day between the towns bus "Kia Gradb", which departs at 09:29 and 17:14 and arrives Yekaterinburg to Tyumen in 15:44 and 00:03. The ticket costs 664 R.
Also at 09:31 every day, you can take the bus with adhering to the Forest-Tyumen. Journey time — 6 hours. There are options of departure of the transport from the bus station "South" in 02:01, 07:34, 10:04, 14:54 and 15:35. The days of plying these routes you should ask the Manager and on the info line. The average ticket price 700 R. On the flight release large comfortable buses with air conditioning and TV. The bus passes through such towns as Beloyarskiy, Bogdanovich, Kamyshlov, Pyshma, tugulym. After crossing the Sverdlovsk region Tyumen to Tyumen border remains hour drive. The bus station in Tyumen is located on the street., 9. To reach the designated point from Yekaterinburg by train. Train station from 01:40 to 23:23 with the interval of about one hour with trains leaving in the direction of Tyumen. 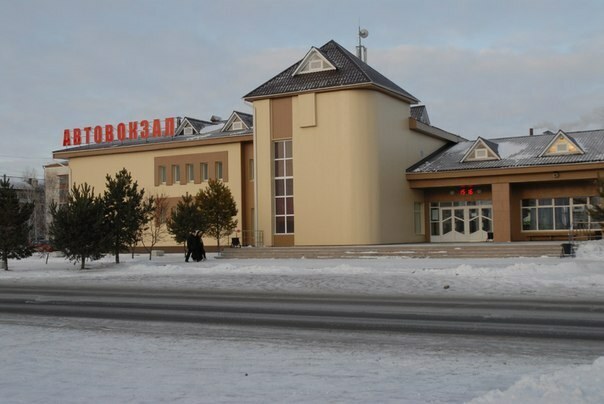 Tickets cost from 1000 to 3000 R. R. Direct connections by plane between cities does not exist, it is possible to fly with stopovers in the cities of Nyagan, Noyabrsk and Salekhard.